This unique oven door towel is all about fresh cappuccino made from freshly ground coffee beans. 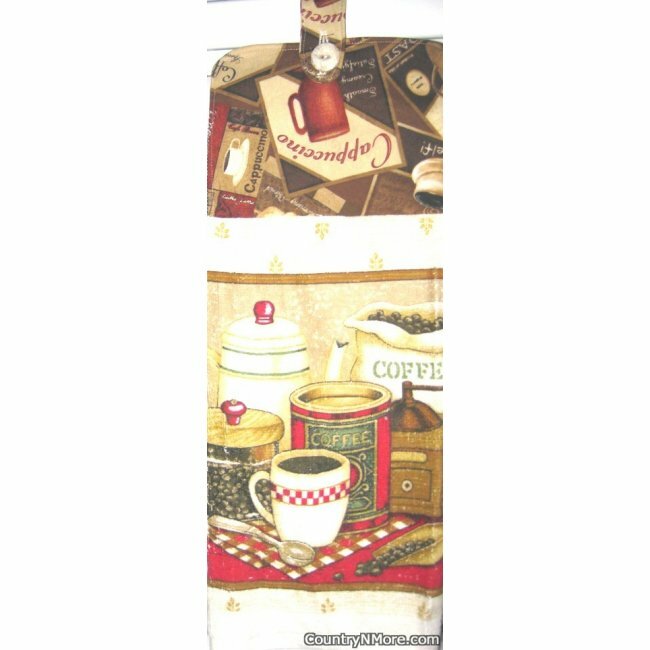 The towel features a bag of fresh coffee beans, a can of coffee, a jar of fresh coffee beans, and a canister. The fabric top was made using a cappuccino print. We use full length towels for all of our oven door towels, and every oven door towel has a button closure.